3) Apply for and qualify for government benefits such as Medicaid and Veterans Benefits (with certainty and peace of mind). The easiest way to say it: We are discussing concerns that modest wealth families have for ensuring they will receive quality care while not subjecting themselves, their spouses, and their families to total financial impoverishment. When is Asset Protection Planning Considered? There are two times at which when Asset Protection Planning is contemplated. Crisis and a pre-planned approach. One timeframe is often referred to as a “crisis”, when asset protection must be implemented as quickly as possible according to strict guidelines, unique rules, and limited options. This is most frequently seen in Medicaid crisis planning or VA Benefits planning where a comprehensive asset protection plan is discussed, customized and implemented so that eligibility can be obtained in a matter of a few weeks with the assistance of the Law Office of Emma Hemness. The second timeframe -- which by our human nature we generally neglect -- is asset protection by following a pre-planned approach. This pre-planned approach is undertaken several months in advance of any anticipated crisis. As with any complex area of life and law, pre-planning is key. An informed client and an experienced elder law attorney are both crucial to the proper planning of yours’ or a loved one’s long-term care needs. That is why we offer this website information, in order to educate and inform, so that “non-crisis” decisions can be made and implemented; and, asset protection planning can be accomplished without all the fear, drama and uncertainty associated with crisis planning. 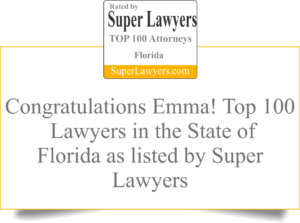 At the Law Office of Emma Hemness, we offer a variety of pre-planning techniques and opportunities currently available under FLORIDA law. As with any area of law, these particular techniques require specific knowledge and training. Let’s now briefly discuss the important role that irrevocable trusts can play in pre-planning for maximum asset protection.